I’ve also been reading their book on School Readiness by Claire Ford, as part of our focus on helping children who start school in September. 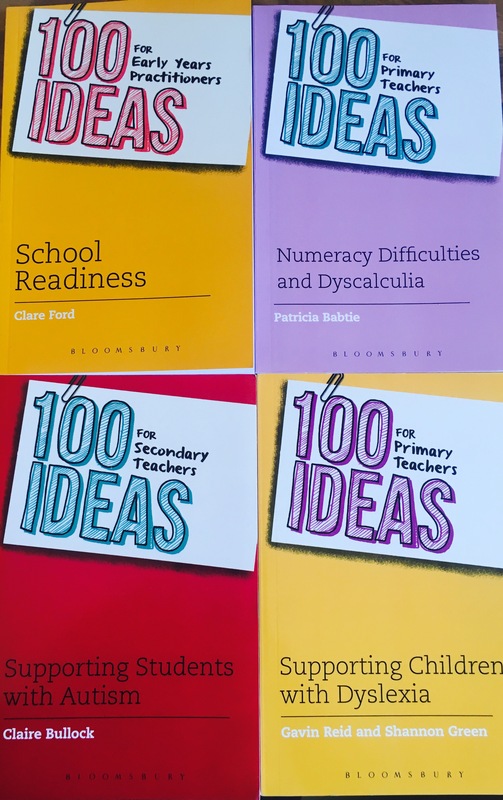 Packed full of ideas– Perhaps stating the obvious (but the point has to be made) as the book titles suggest..there are 100 ideas for each book. This provides such a range of suggestions to help teachers and other education professionals. And ultimately, help the children they are working with- as in my opinion there’s no such thing as a one size fits all approach when it comes to strategies for children. Different Styles– What’s interesting is the books aren’t all written by the same author, making the writing styles and ideas varied. It also means you feel confident as a reader that the advice is useful and practical, because each author chosen for each theme is an expert in their field. Same Format– We loved that there were different authors as this made reading a few of the books one after another, more interesting. However, I was pleased to see that each book follows the same (may I say brilliant) format. They are all split into the 100 ideas and each idea has a in context quote and summary, teaching tips and/bonus idea/extension as well as a couple of paragraphs explaining the idea. Dip into- I read the books back to back as part of the review process. However, one of the best things about these books is they can be ‘dipped into’. They are fantastic for flicking through and finding novel, interesting and engaging ideas. Let’s face it, time is a premium for teachers and other education professionals. So having a book that’s so easy to browse and discover tried and tested suggestions- is incredible valuable. Find a copy on Amazon here.